Setting SMART Goals For The New Year May Help You Better Grow Your Business. Jerry R. Blair, M.D.,Ph.D., Mari Ann Keithahn, M.D. 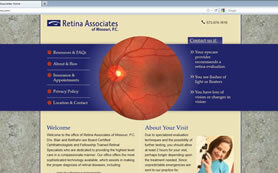 and their exceptional administrative/clinical staff at Retina Associates of Missouri, P.C. 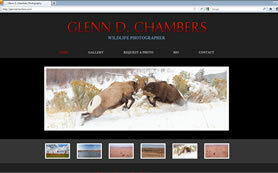 are making their web debut on their recently completed website. Their custom web design features a large image of a retina on the home page and wonderful photography of their staff and office throughout the site.